If you’re a technology fan of a certain age (in your late 20s or beyond), the distinctively abrasive dial-up tone of an old modem may fill you with a warm sense of nostalgia. If the U.S. military has its way, however, it could soon have a totally different association for a large number of people: As an ear-splitting non-lethal weapon designed to annoy or even frighten enemies. And not just because of the promise of really slow download speeds! Right now, the Laser-Induced Plasma Effect still mainly produces vintage modem-esque sounds like the one in the video above. However, long-term the team that developed it hopes to be able to manipulate it finely enough that it could be used to create human-sounding voices. The idea of using lasers to create voices out of thin air sounds crazy, but that is exactly what the Pentagon may be capable of within just a few years. Depending on the mirror that is used to achieve the effect, the weapon’s range could be extended to tens of kilometers. In fact, longer range applications may even turn out to be easier than short-range ones. That is because the Kerr effect — which refers to tiny changes in the refractive index thanks to electromagnetic field changes — is easier to create at a distance than it is at short range. 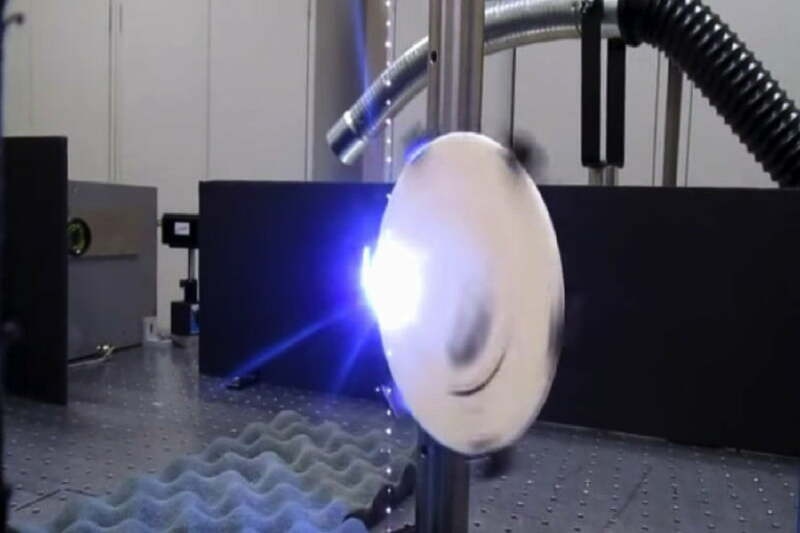 In addition to making sound, the Laser-Induced Plasma Effect technology could also be employed for assorted other laser applications, including producing both light and heat.